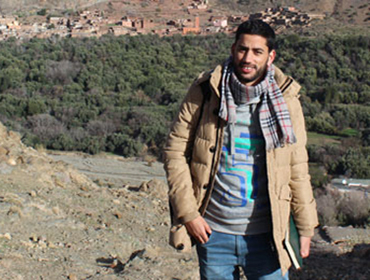 Abdeddaim is a Moroccan agronomist engineer specialised in Management of crops production and environment, and trained at the Institut Agronomique et Vétérinaire Hassan II in Rabat-Morocco. His research focused on making an inventory of fig varieties in four production areas: Chefchaouen, El Jadida, Ouezzane and Taounate. He established a detailed varietal information file, studied cultural practices applied in each area and investigated the local knowledge in terms of fig valorization by drying. Abdeddaim is currently studying a bachelor’s degree in law studies at Mohammed V University of Rabat. He is fluent in Arabic, French and English and is working on speaking Amazigh languages. Abdeddaim worked as a field agronomist for GDF’s High Atlas Cultural Landscapes programme, working on plant characterisation, resource assessment and agroecosystem management, amongst others.